Need 20 minutes to make dinner or help a sibling with homework? Or even just want to finish a cup of coffee before it gets cold? Then you will love this adorable spider busy bag! Busy bags are one of those things you need to have in your life if you have small kids.They’re self contained activities that kids can do on their own. Over and over again. Prep them once and stick them in a gallon size bag and you can get a lot of use out of them. This cute little spider doesn’t just keep kids busy–she can help them practice number identification and improve their fine motor skills too! 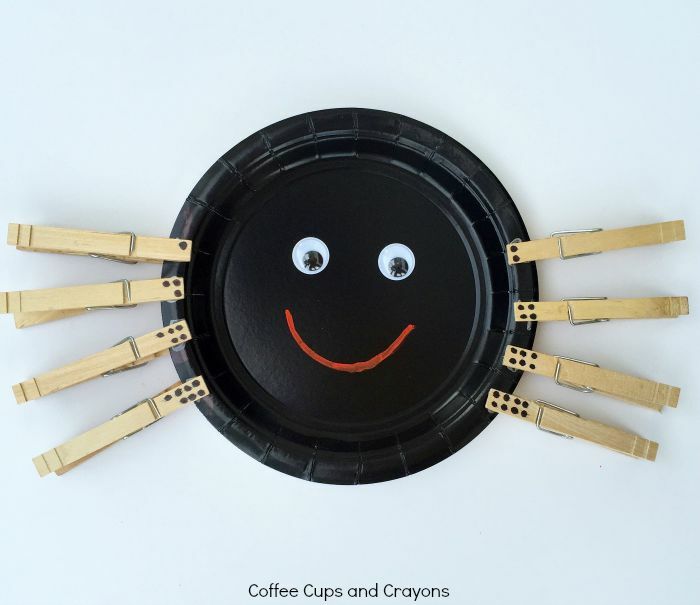 Make your spider by gluing on the eyes and drawing a smile. Then write the numbers 1-8 on the sides of the spider. If your child or class doesn’t need to work on numbers you can customize it. Write letters, math facts, color words or whatever else works best for you. I wrote numbers on the sides of the number and dots on the clothespins to work on number identification and one to one correspondance. 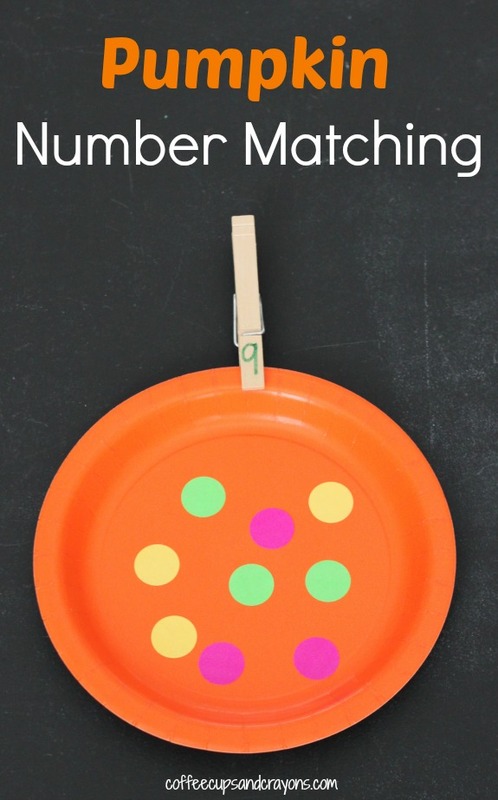 Kids play by matching the the number of dots on the clothespin to the correct number on the plate. 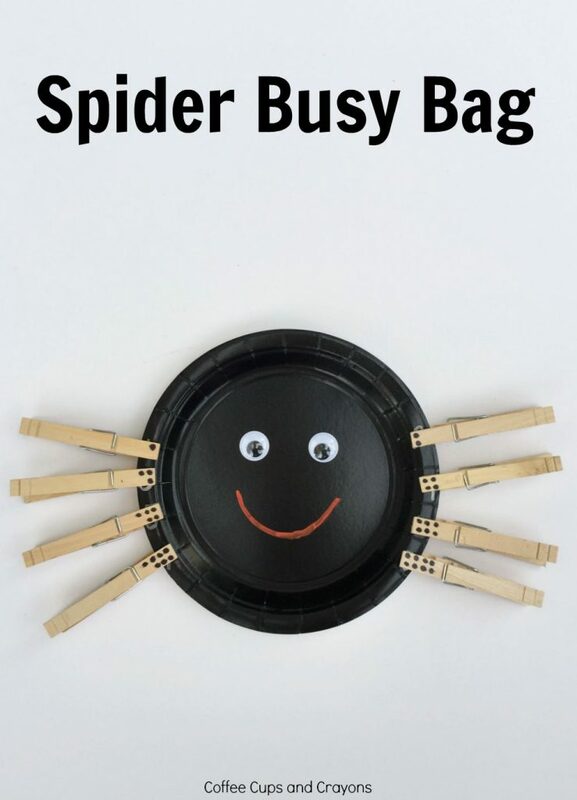 This spider busy bag also helps kids strengthen their fine motor skills. 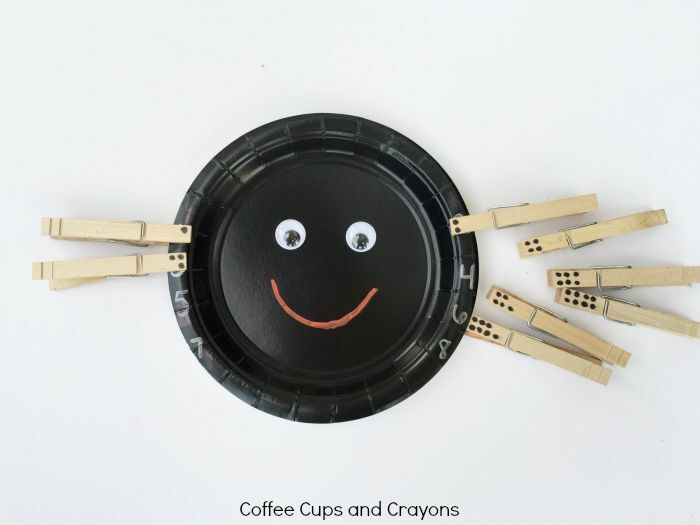 Developing fine motor skills can take a lot of practice and letting little fingers work to move and clip the clothespins is one of the ways to make that practice fun. If you are ready to have some fun (and quiet time!) with busy bags you’ll love this Pumpkin Number Matching Busy Bag too! And just when you thought it couldn’t get any better than spider and pumpkin busy bags…I’ve got more fun ideas for you! Fall Nature I Spy Bottle // Mama. Papa. Bubba. Can You Make an Egg Float?